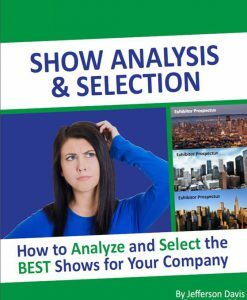 Need to get better control of where your tradeshow dollars go? Want to know how your spending compares to industry averages? 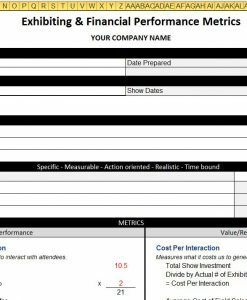 Need to be able to compare costs year to year and show to show? 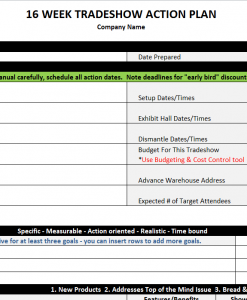 This budgeting and cost control tool is your financial control center for managing costs. 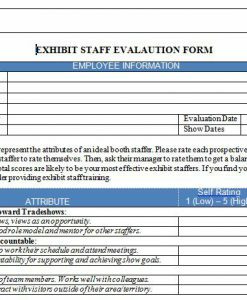 Included is a complete template budget spreadsheet divided into nine major expense areas with the most common line items in each area. 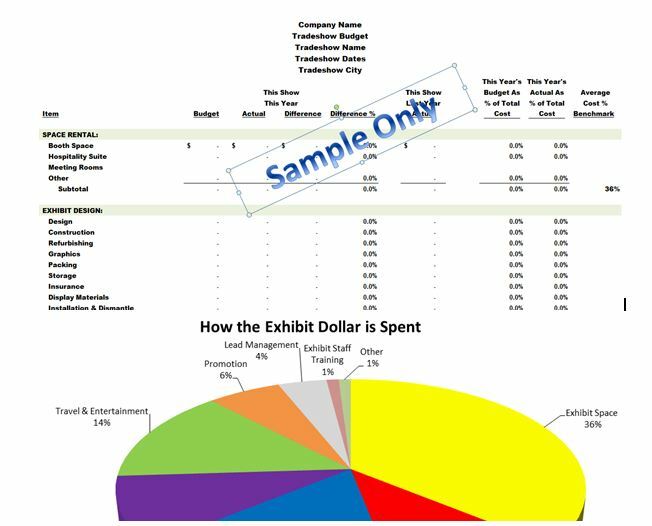 Also included is the latest research on where the tradeshow dollar goes to help you benchmark spending against industry averages. 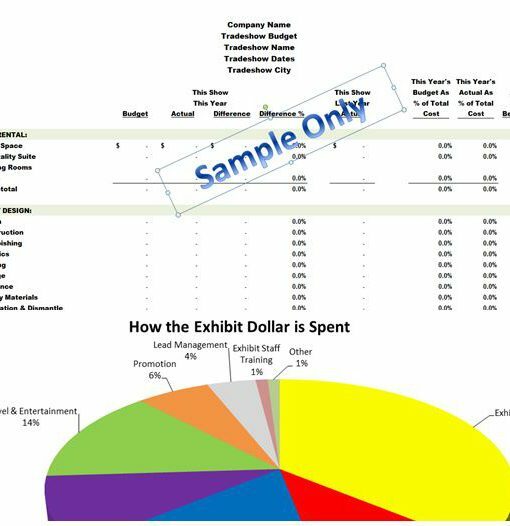 A dynamic chart illustrates where your exhibit dollars are being spent by area, and included are tips to control costs in each of the none areas.